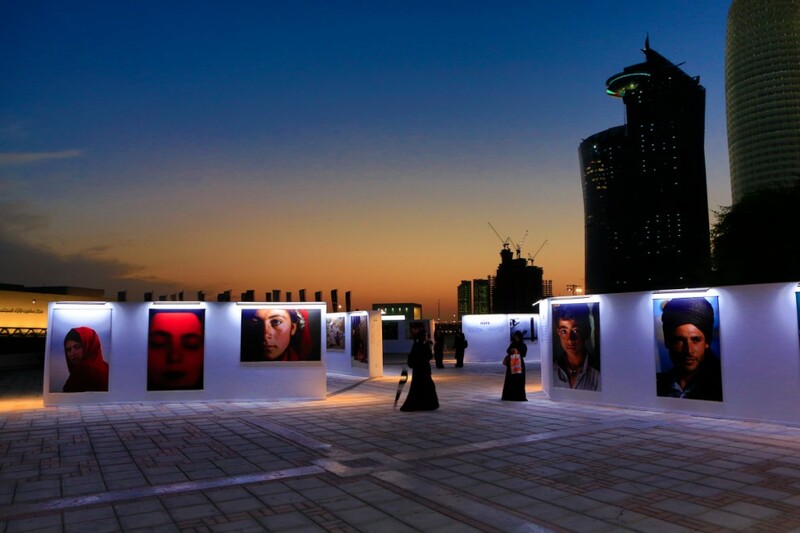 This retrospective exhibition, entitled Hope, the first photographic installation by Reza in Qatar, is being presented on the Corniche of Doha at the same time as the World Innovation Summit for Education 2012. Conceived as an authentic visual promenade through 30 years of photojournalism, it consists of 80 selected photographs that bear witness to both the hurts and the joys of those whom Reza has encountered on his journey. Educational activities concerning the images, together with conference meetings, are offered to the public. Reza invites photographers of the Qatar Photographic Society for an exclusive workshop , and a reading of portfolios. Alongside the World Innovation Summit for Education, experts from every background are coming together in order to discuss amongst themselves the major challenges of our era, represented by education, innovation and the dissemination of knowledge. For the second consecutive year, Reza has been invited as an active figure to expose his social activities in support of informal visual education, carried out all over the world during several decades.